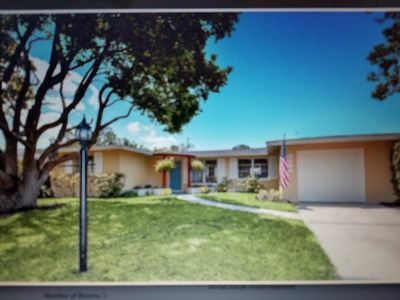 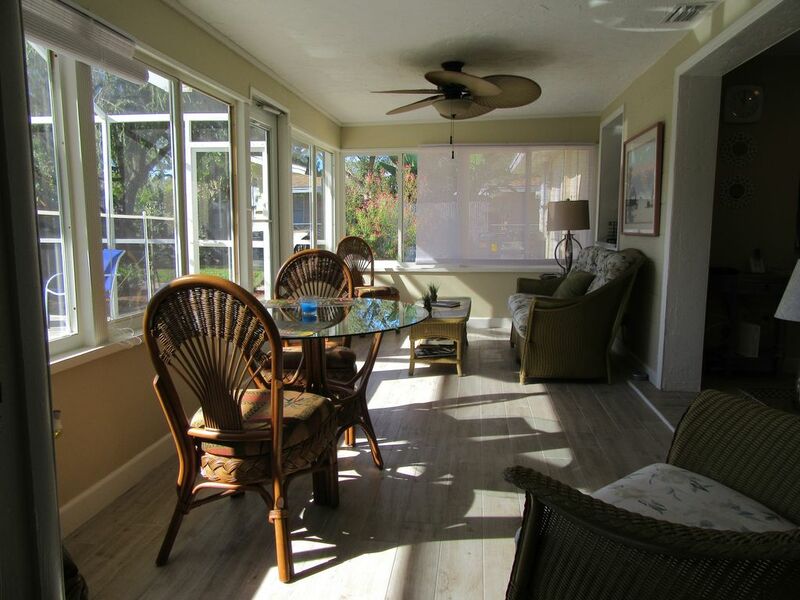 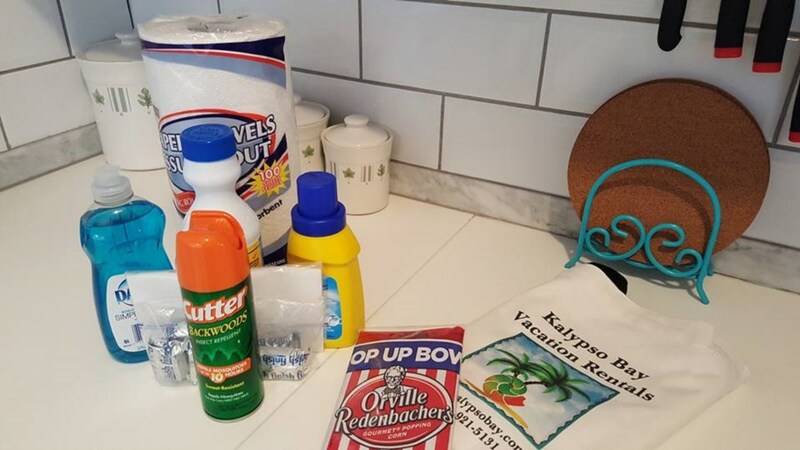 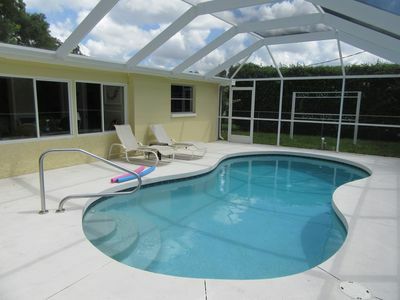 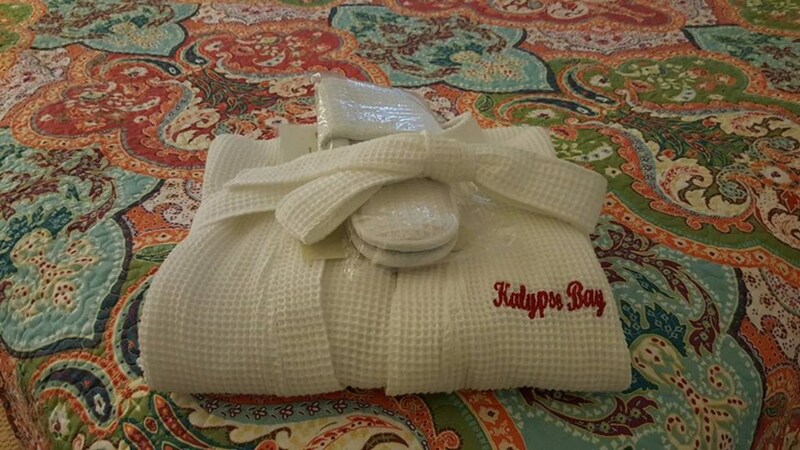 Kalypso Bay Beautifully Renovated Gulf Gate 2 Bd/2 Ba Home w/ Heated Pool Near Siesta Key! 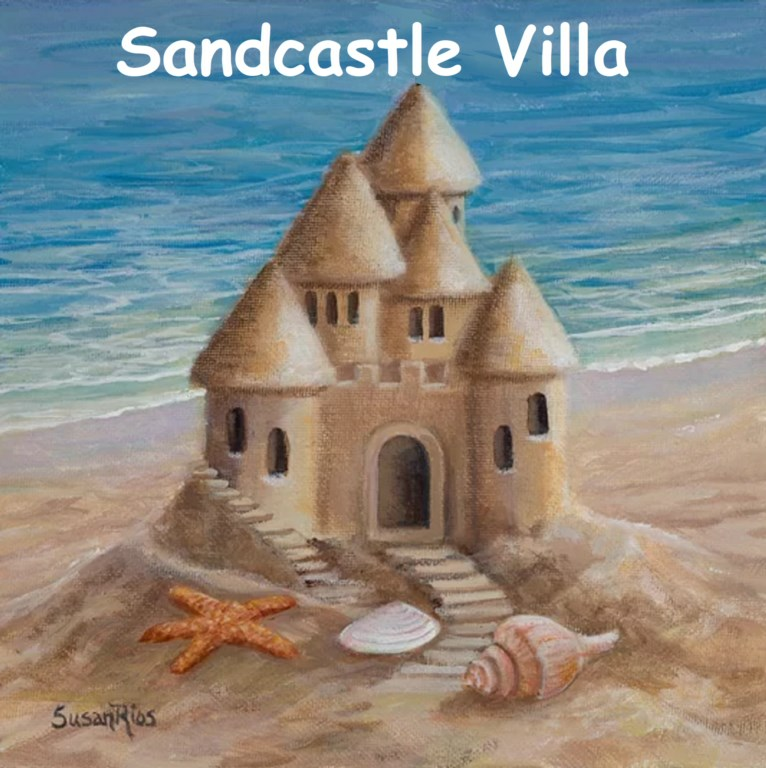 About the Sandcastle Villa - You don’t need a thing! 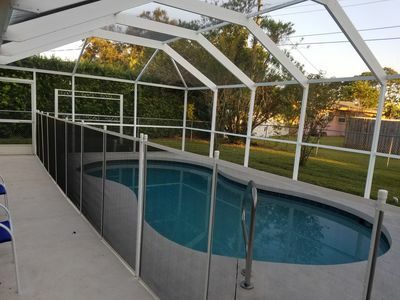 Newly renovated, beautifully furnished home with heated pool located in the Gulf Gate section of Sarasota in a quiet family neighborhood. 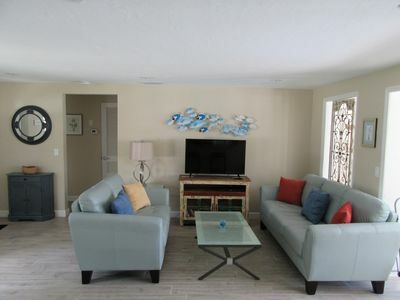 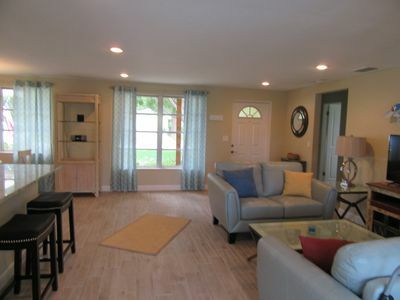 This comfortable (central AC) and spacious beach house decorated home (1196 sq ft) has cable and internet included. 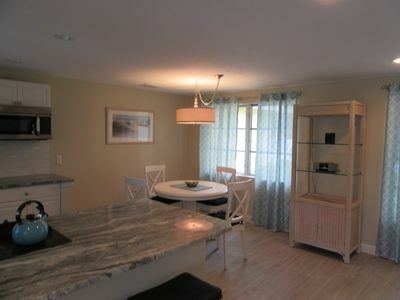 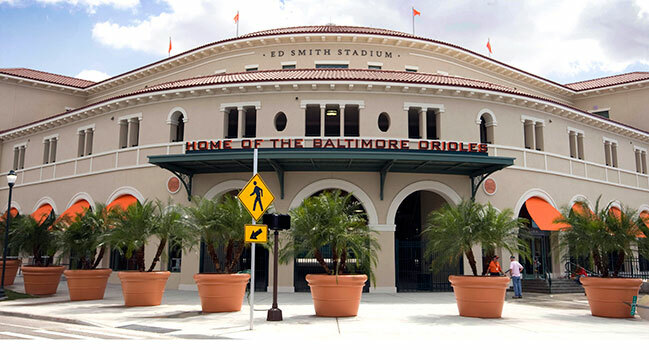 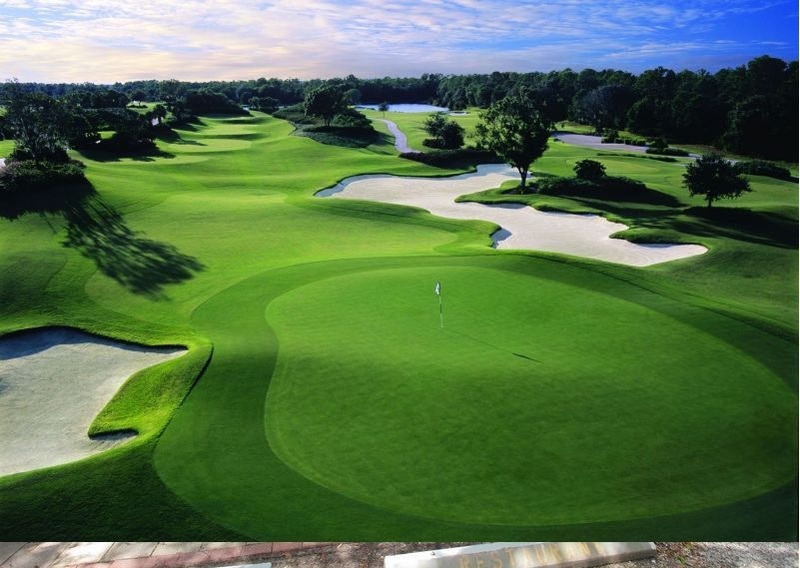 It is less than a mile from Gulf Gate shopping, restaurants and theaters. 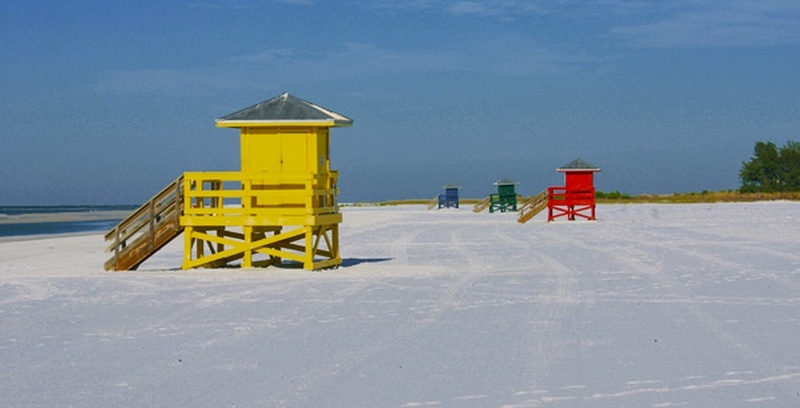 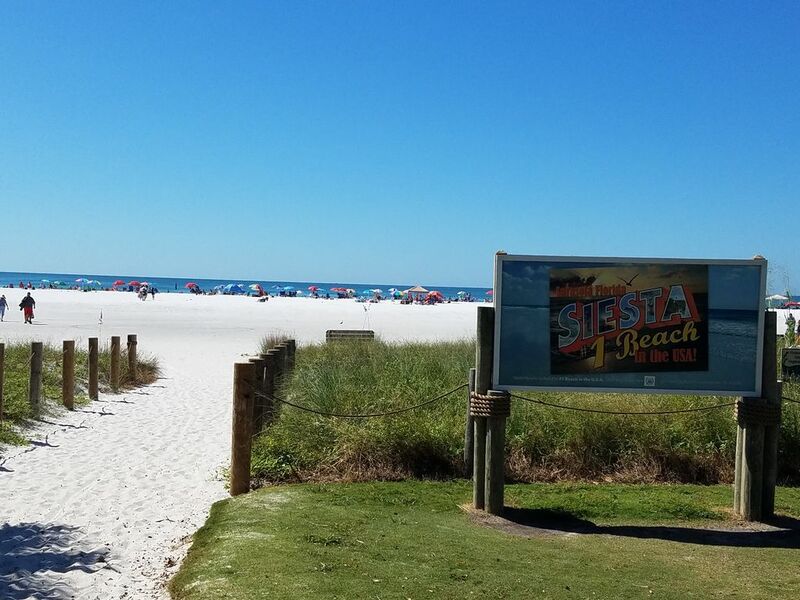 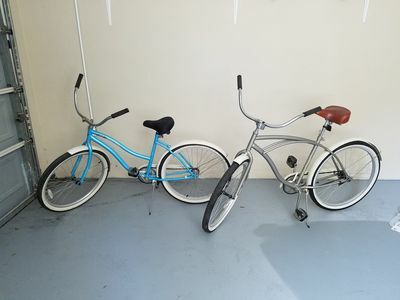 It is only 7 minutes from Siesta Key Crescent Beach and 10 minutes to the beautiful Siesta Key public beach. 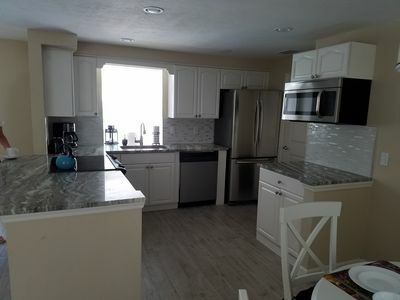 It features all new tile flooring throughout, an open brightly lit living area with a newly-applianced, well-equipped kitchen with breakfast nook. 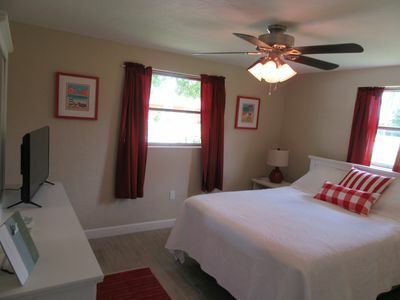 Both bedrooms feature brand new queen beds with new deluxe mattresses with dresser and night stands, large closets, a TV and ceiling fans. 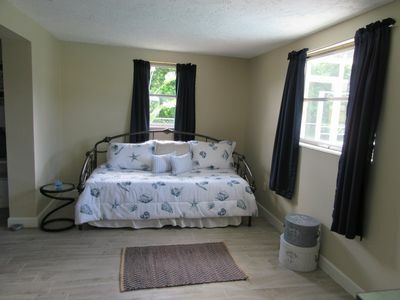 Bedroom 2 also features a spacious office area furnished with a new daybed/trundle with new twin mattresses and desk. 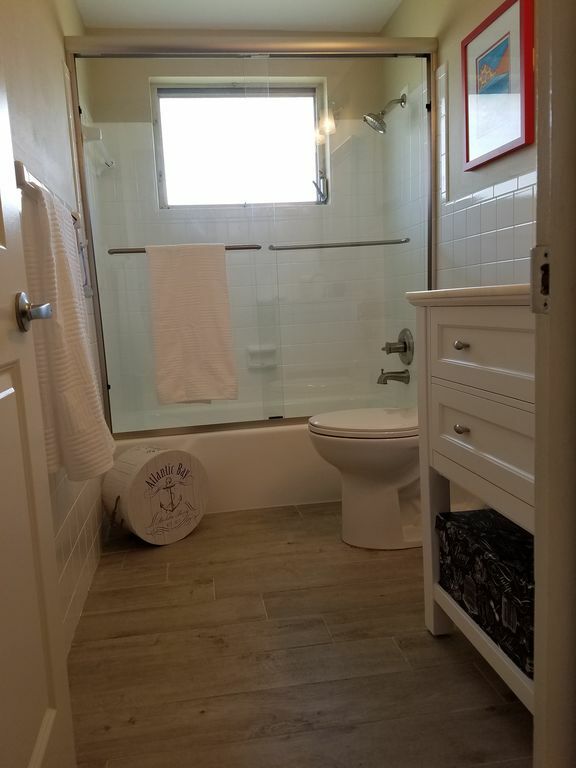 Bath 1 is between the two bedrooms with a brand new tiled bath/shower with tub. 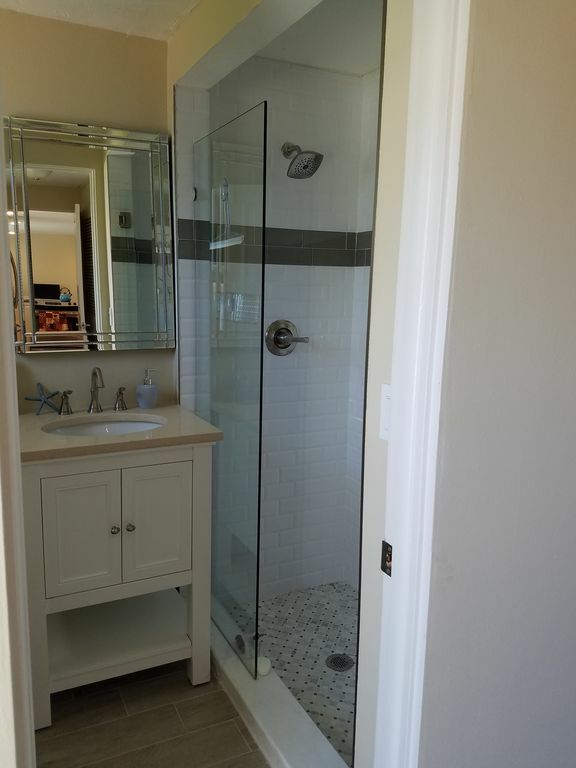 Bath 2 has a full brand new walk in shower that is also accessible from the outdoor caged pool. 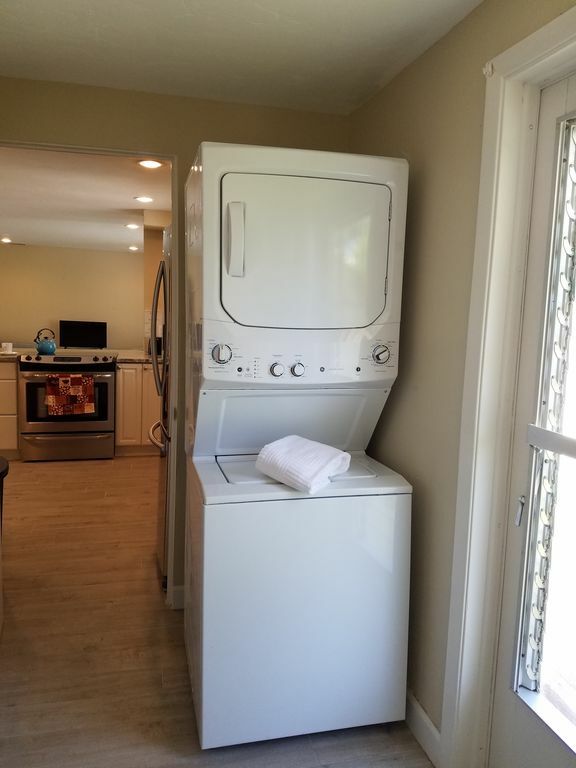 A new washer/dryer unit is located in the utility area. 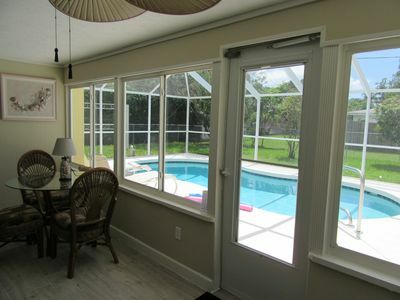 Off of the living area is the bright Florida room, leading out to the caged pool area. 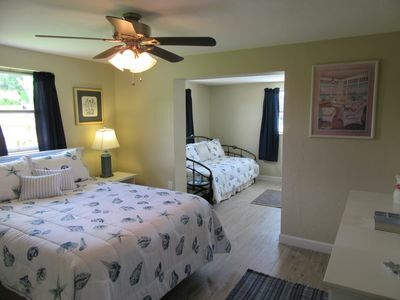 The Florida room is furnished with a comfy couch and rocking chair as well as a table/chair set to enjoy your morning coffee or a late night snack. 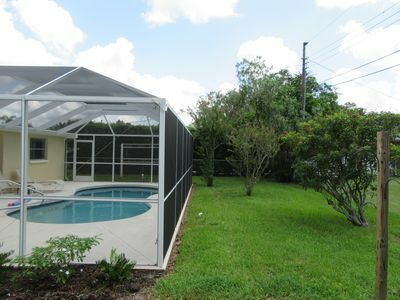 The private backyard features a patio with gas grill and shade to get away from the sun for a while. 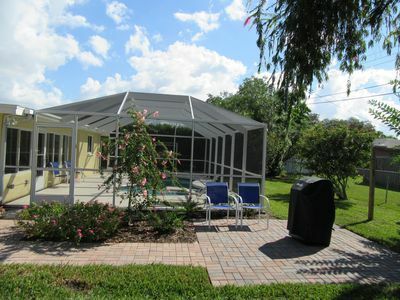 The garden has several beautiful flowering trees and a peaceful area to relax. 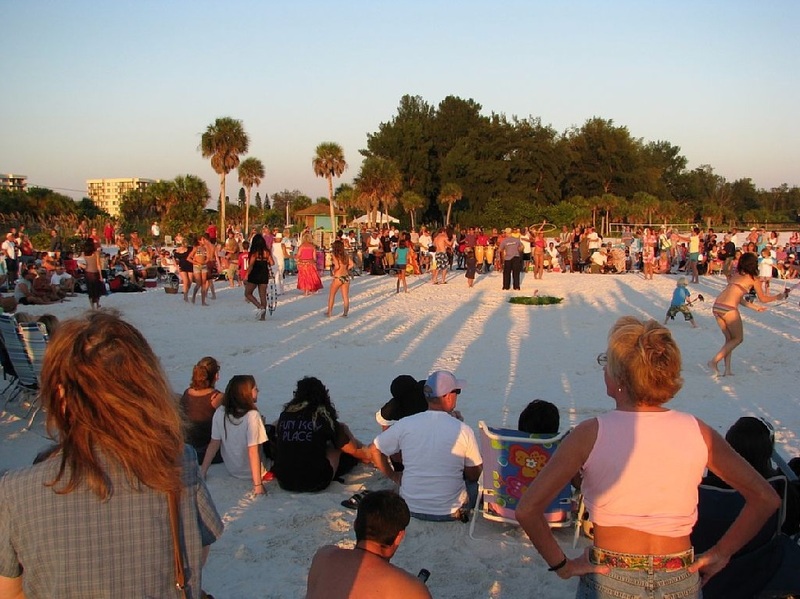 After a dip in the pool, drive out to Siesta Beach and catch the sunset. 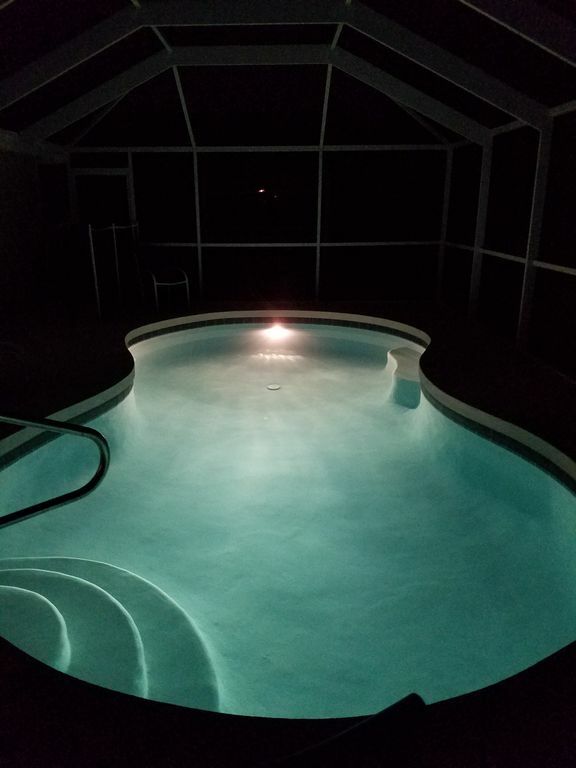 Just a little piece of paradise that's all there just waiting for you. 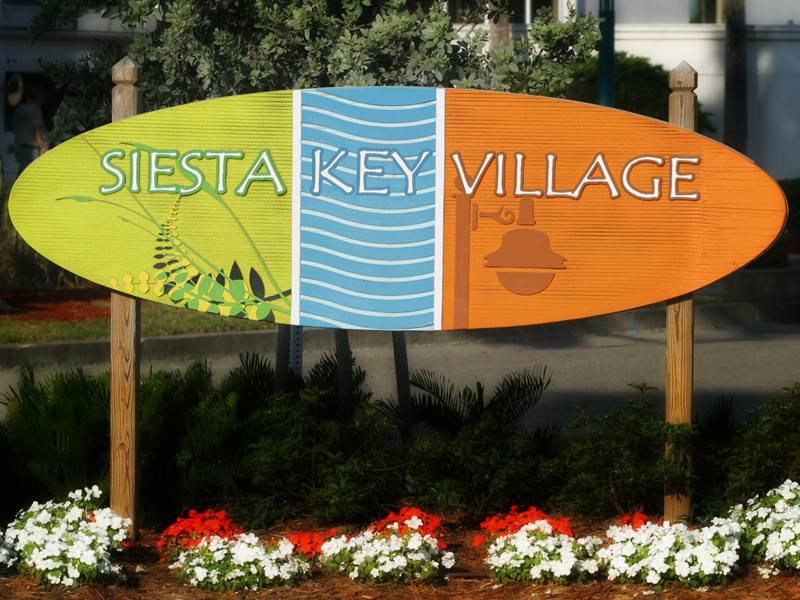 Ask about our speccial rates for multi-month rental rates.